Pull-on skinny pants features an easy-on, comfortable, knit waistband (skinny, regular or fold-over -- wear yoga waistband up for more coverage and support). Front & back patch pocket options are included. shorts, bermuda, clam digger, capris, petite full, regular full and tall full length. This pattern is QUICK to sew. Intermediate, only because I highly recommend you make a muslin (fitting shell) to ensure you get the PERFECT fit. The results are worth the extra effort. Instructions are included. 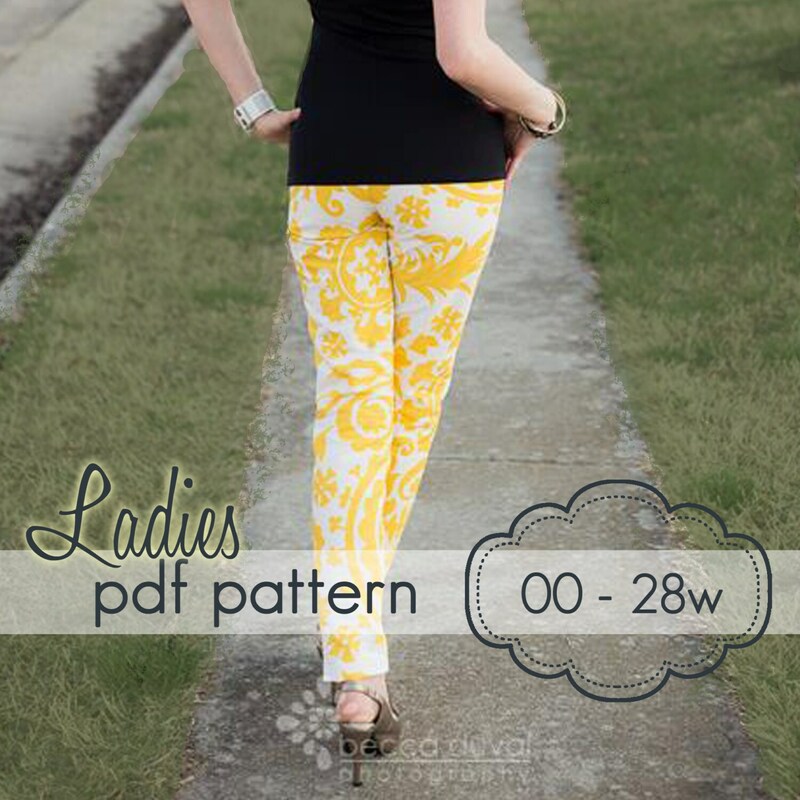 You will receive: ONE (1) pdf sewing pattern with 27 pages of step-by-step sewing instructions (24 steps and 80 color photos and illustrations) and 21 pages of patterns to guide you along as you make Ladies Skinny Pants.